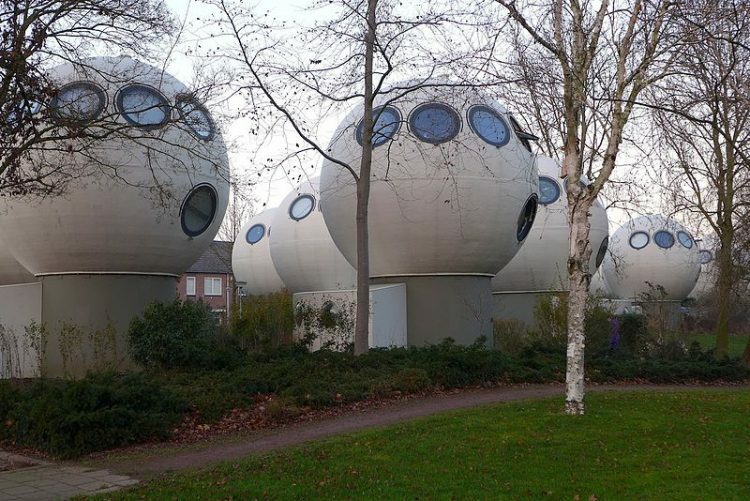 Set amid lush vegetation along a picturesque canal, the 50 Bolwoningen resemble a weird cluster of otherworldly mushrooms. 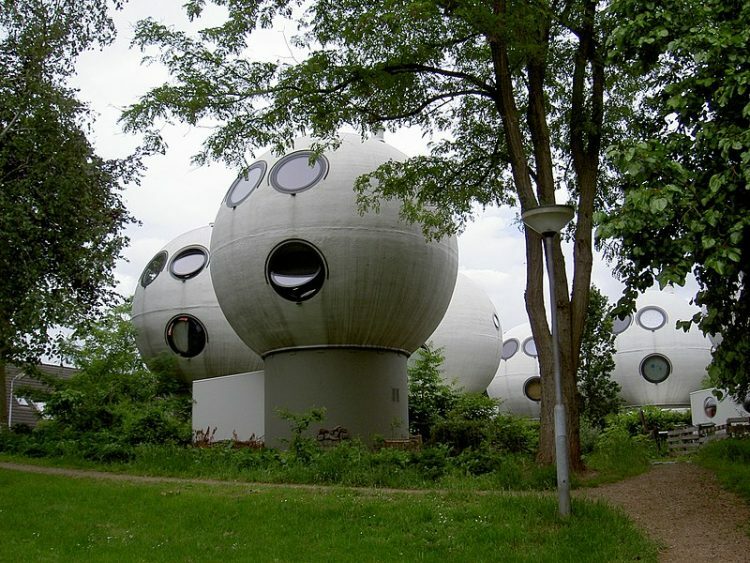 The houses sit on cylindrical structures that look like stalks and contain a bit of storage space plus a staircase that takes people to the sphere above. 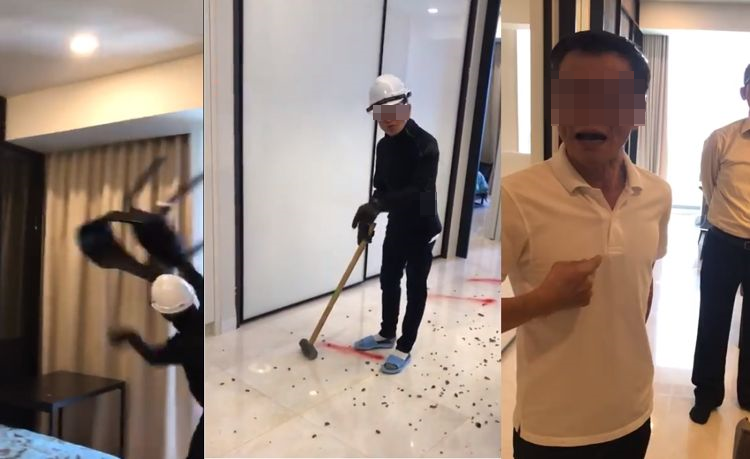 Each home has three floors, the ground level occupied by the bedrooms, the upper floor by the living room and kitchen, and the bathroom inserted in the middle. The homes are very bright thanks to six large round windows and a roof light. The living space is spread over a mere 55 square meters, but the layout and the abundance of light prevent the houses from feeling cramped. 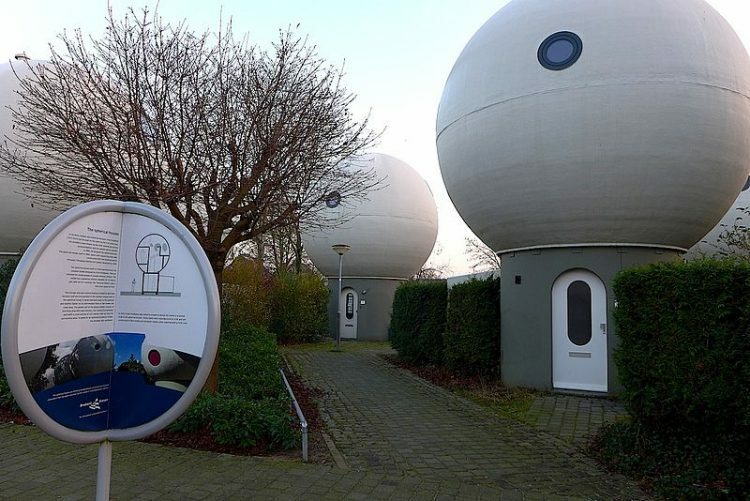 Dries Kreijkamp, who passed away three years ago, brought his longtime fascination with spheres to this project and remained a firm believer in the concept for the rest of his life. It wasn’t easy bringing this project to life and Kreijkamp was forced to compromise, his concessions including the stalks (which he didn’t want) and the materials used. He envisioned polyester, which would have made the globes very light, but fire regulations forced him to go with two cement concrete layers reinforced with fiberglass and insulted with rockwool. 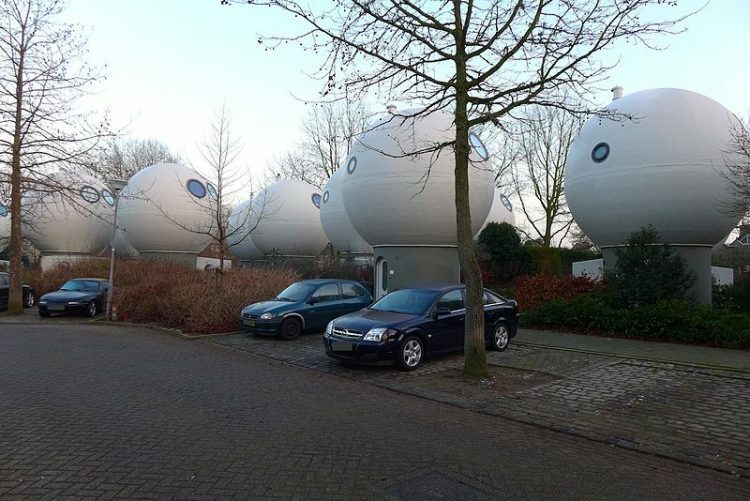 The bulbous houses in Den Bosch are all the more striking because of their surroundings. The cube-like constructions in Rotterdam may be better known, but their impact is dulled by the architectural eclecticism of the famous city. The Bolwoningen, on the other hand, reside in a typically suburban neighborhood located in a mid-sized, ordinary Dutch town. This, perhaps, explains why they continue to feel like alien settlements more than three decades after people first set eyes on them.